It is that time of year again! Tonight at 4pm PST (7pm EST) the 87th annual Academy Awards, hosted this year by the very funny Neil Patrick Harris, will premiere on ABC and there is quite a bit of animation presented in the Oscar race. Let’s get down to business and discuss the nominees. Directed by the great Tomm Moore, also known for The Secret of Kells, this movie is hands down the best movie I’ve seen this year, animated or live action, and there were some GREAT live action movies this year. (Whiplash anyone?). I saw Secret of Kells a few years ago and I loved it. I expected to really like this one when I saw it at the CTN Expo this year, it not only met my expectations but exceeded them. In my opinion, it improved on Secret of Kells in almost every way. What is he trying to say here? Exceeded? Surpassed? The animation is a lot slicker this time around and the story is tighter. 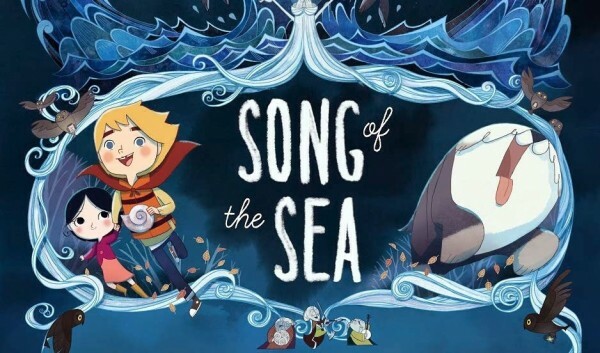 I can’t wait to see what Tom and the crew at Cartoon Saloon come out with next! This is the one I’m personally rooting for to get the award. It certainly deserves it and hopefully, if it wins, it’ll get a wider theatrical release. This is the only Oscar nominee feature that I have not seen and also the only other hand-drawn film on this list… but boy does it look beautiful! 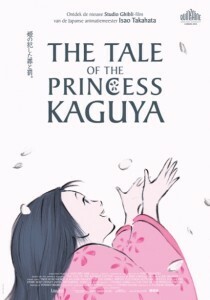 I’ve heard some amazing things about this movie being a huge fan of Isao Takahata and Studio Ghibli, I can’t say much more other then I can’t wait to check it out and I’ll certainly be purchasing the BluRay very soon! I’ve heard some amazing things about this movie. 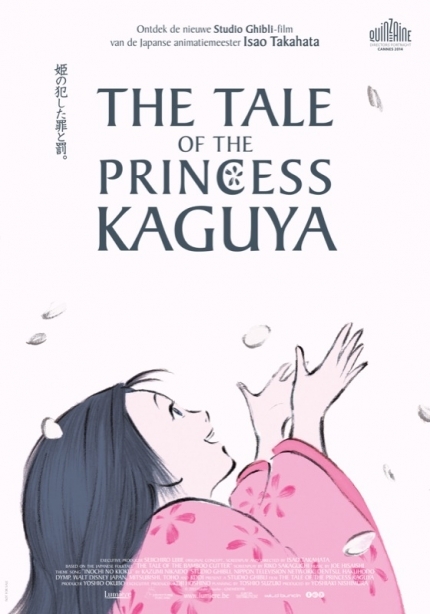 I can’t say much but being a huge fan of Isao Takahata and Studio Ghibli I can’t wait to check it out and I’ll certainly be purchasing the BluRay very soon! 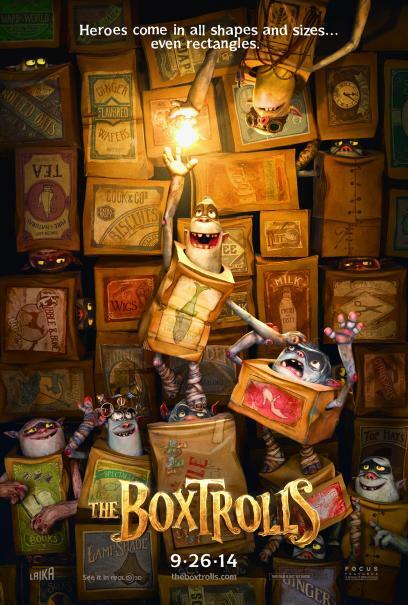 The Boxtrolls is Laika’s third stop-motion animated epic and once again, they provide a mind-boggling visual feast that celebrates the hand-crafted nature of stop motion animation. While watching the movie, I constantly have to remind myself that these things moving across the screen are physical puppets animated frame-by-frame and not computer rendered. The animation team at Laika is incredibly talented and it just boggles my mind already said mind-boggling before how they are able to get such fluid animation and great acting out of these puppets. While the story is not the strongest and, in my opinion, the weakest of the three Laika films, it’s still a very entertaining film filled with appealing designs, funny characters, and an excellent villain (with a hilarious weakness). The film is definitely worth checking out. 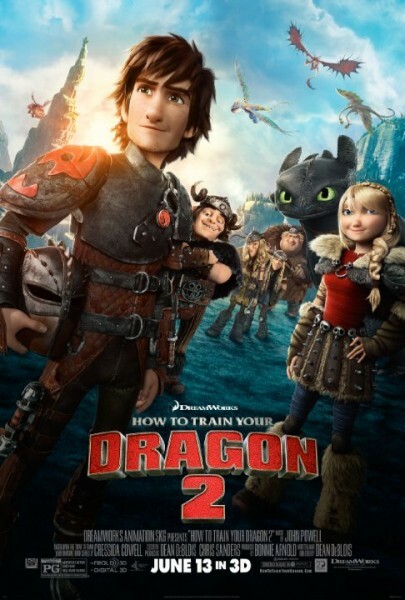 Writer/Director Dean DeBlois does it again in this sequel to the 2010 Dreamworks Animation hit How to Train Your Dragon. This movie improves on again I suggest different wording the first film in almost every way and is everything a good sequel should be. In the style of great sequels like The Empire Strikes Back, it’s not simply a rehash of the first film; it’s more epic, it’s bigger. It goes places the first film never goes and touches on issues the first film doesn’t. The film is darker. The characters are more fleshed out, they age the character which is unusual for an animated sequel, and the world from the first film is built upon in which the characters change and evolve by the end instead of just staying exactly the same. While it’s by no means my favorite film of the nominees, it’s certainly a great movie on its own and certainly worth a look. 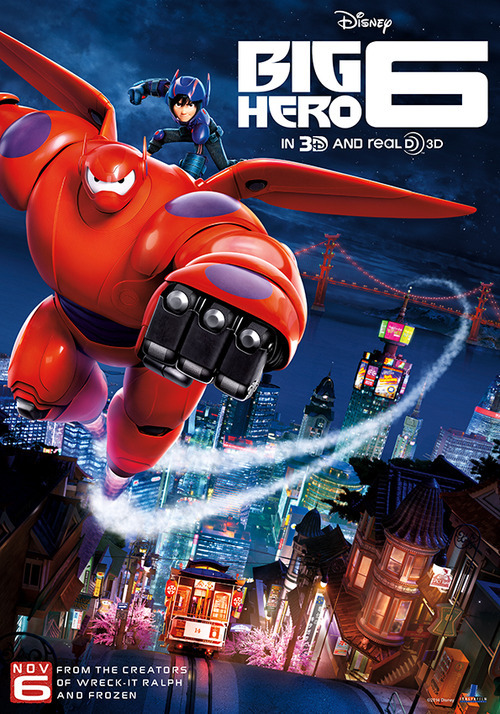 Big Hero 6 is definitely a favorite of mine this year. Like Wreck-it-Ralph, I felt like this is one of the more unique films to come out of Disney in the last few years. It’s not a musical, it’s set in the modern day, and it doesn’t involve any sort of princesses or royalty of any kind. It also happens to be a great superhero/comic book film that, while not quite in the same league as Brad Bird’s The Incredibles (which is my favorite superhero movie of all time and also possibly my favorite movie in general), is still a lot of fun. It has its flaws, the biggest one being a very weak villain (that I think keeps the movie from being as good as The Incredibles) but it’s full of great Disney animation and action that will keep you on the edge of your seat just as much as any live action superhero movie. I’ll provide you all with descriptions and trailers. All descriptions are from the Oscar’s website. The best of luck to all the 2015 nominees! Andreas Deja is Hiring Animators for his Film "Mushka"
Enter the Exclusive Song of the Sea Giveaway!